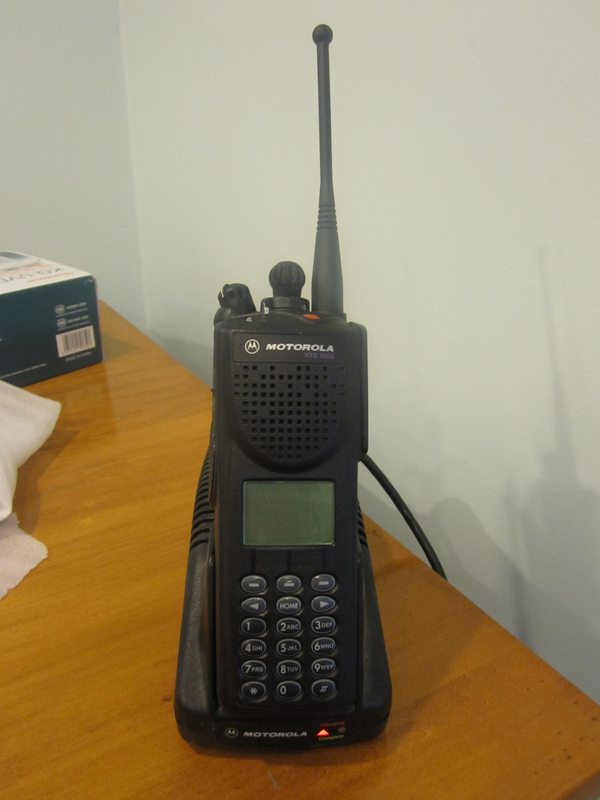 In the past couple of weeks I picked up a couple commercial two-way radios. I’ve purchased a Motorola Maxtrac 300 (Mobile) and a XTS 3000 (Handheld). I’ve been a fan of commercial radios since I got my hands on a HT1000 and beat it up pretty good. I’ve dropped it, thrown it, threw it into a puddle and who knows what else and they always worked out. There are PROs and CONs about owning a commercial radio for Amateur use. One of the CONs is programing. Unlike amateur radios, the majority of commercial radios have to be programmed. 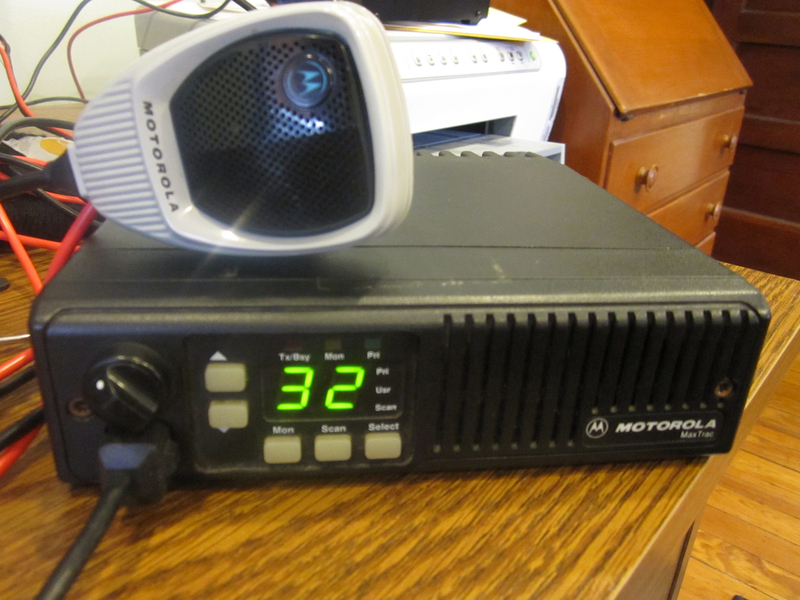 With Motorola, depending on the situation, the software that is used to program these radios will end up costing as much as half (or more) of what you purchased the radio for. You could also have a local dealer program the radio. Another one of the CONs is the ability to change the frequency “On The Fly”. You can only change to a frequency (Channel) that is programmed into the radio. One of the PROs are that you will get a radio that is built to public safety and/or military specifications. These radios can take a lot more abuse then it’s amateur counterpart. Another PRO is that these radios are built as “Part 90” (Public safety, Private business, municipal, etc) radios. That means you can use these radios in both the LMRS and Amateur frequency blocks. Your not allow to take a amateur radio and modify it to transmit in the LMRS. So if you have a job that uses radios in the LMRS blocks or you want a radio that can do both GMRS/UHF (Or MURS/VHF) then you will have a radio that will possibly cover all 3 possibilities. This is the Maxtrac 300 I got on e-bay for around $100. It was being advertised as a 430-470mhz split which is rare but when I hooked it up to the computer, it was the 450-470mhz split. Just a note for anyone that is looking to buy this or it’s GM300 brother on eBay. Make sure the auction has the Model number in it. For example, the model number D34MJA7JA5AK means that’s it’s a 10-25w (2nd Number), UHF (3rd # ) Conventional (Numbers 4,5,6 and 7[MJA7]) 32 Channel (8th # [J]) A5 HEAD (9,10th #) Revision K (Last Digit). So now you know your getting 10-25 watt 32 Channel UHF radio. However these types of radios have 2 splits per band. On Uhf you could get getting a 403-430 or 449-470 split. I’ve read that there is a 430-470 Split RF but I have yet to see it. The only ways to tell what split the radio is, by looking at the radio in the RSS (programing) software or actually opening up the radio to see what the part number is on the RF Board. So be careful if your looking for a Ham band Maxtrac.